I’ve been so busy these past few months, I totally forgot about October monthly faves. I think this is the first month I’ve skipped, since I started this series? Between traveling, home renovations, a huge photoshoot, prepping for the holidays, and just life in general, sometimes I don’t get the opportunity to share everything I’m loving for that moment. We’re back at it, back to sharing my beauty faves of the month. Since I skipped a month, that just means I have more amazing brands and products to share with you this month…. So let’s get started. First up, let’s talk about the item I’ve been using non-stop for the past month; The new Caryl Baker Nordic Beauty Blushadow Quad in shade Cozy. 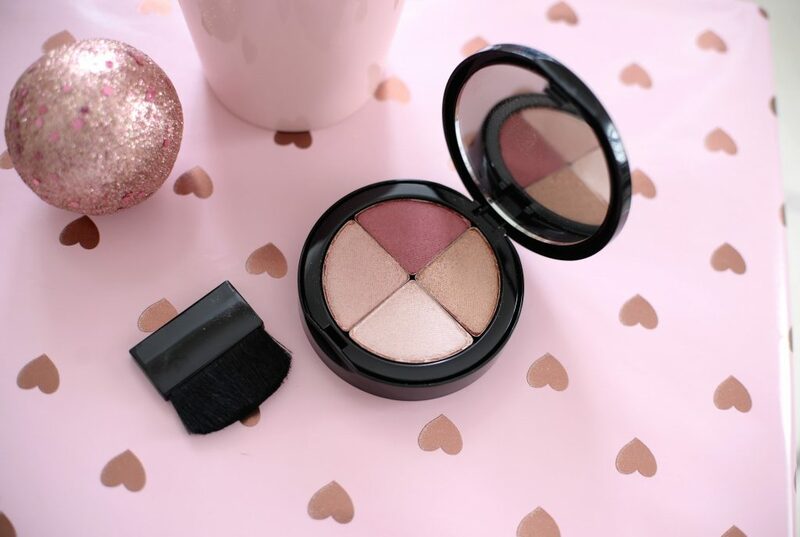 Not only does it feature my favourite shades of pinks and rose golds, but each shade can be used on both your cheeks and eyelids. 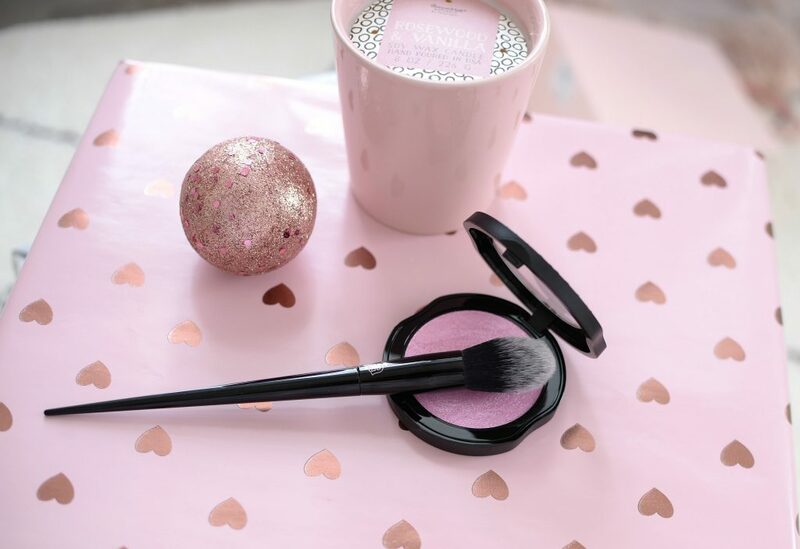 It also comes with a soft angled blush brush that can be used to swirl all the shades together to create your own unique hue, or individual for that perfect rosy glow. 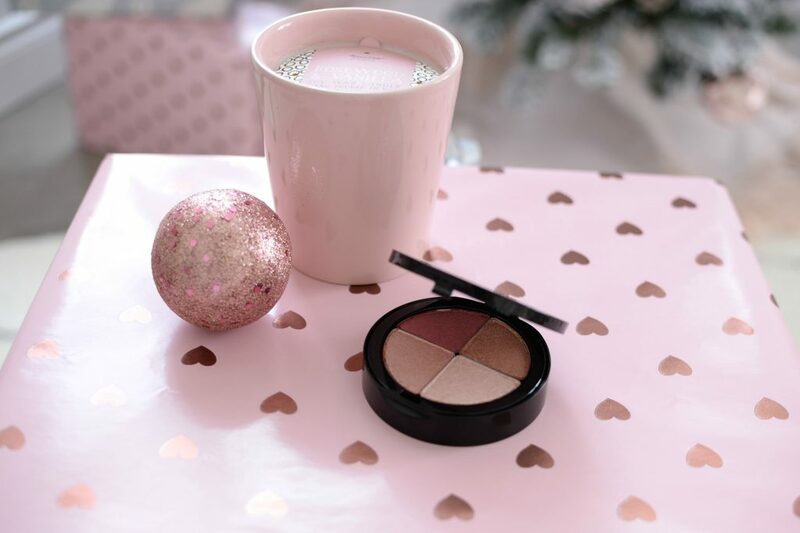 I love how all 4 shades work beautifully together, ensuring I get a radiant rosy look, without looking like I have pink-eye. Each shade is buttery soft and smooth, incredibly pigmented and blends out like a dream. 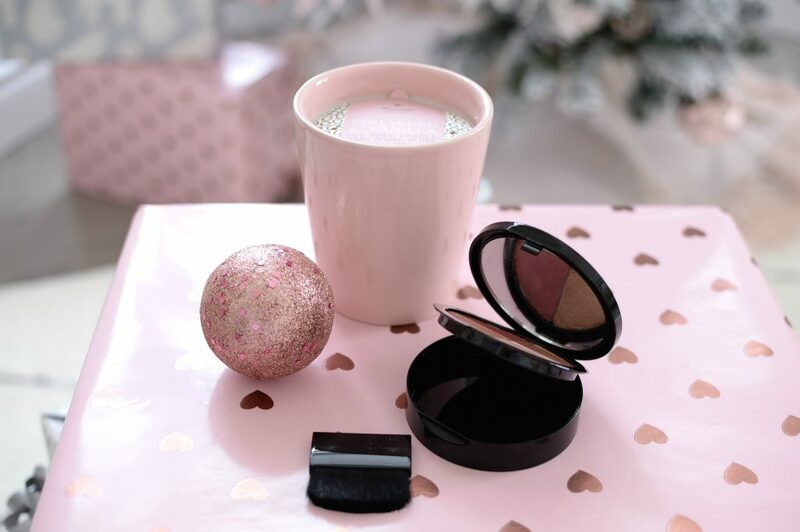 I can effortlessly achieve this season’s hottest dazzling deep pink eyeshadow look without having to reach for another palette. The soft champagne shade can be used both to highlight the inner corner of the eye, below the brow bone, along with the high points of the face. It retails for $29.50. 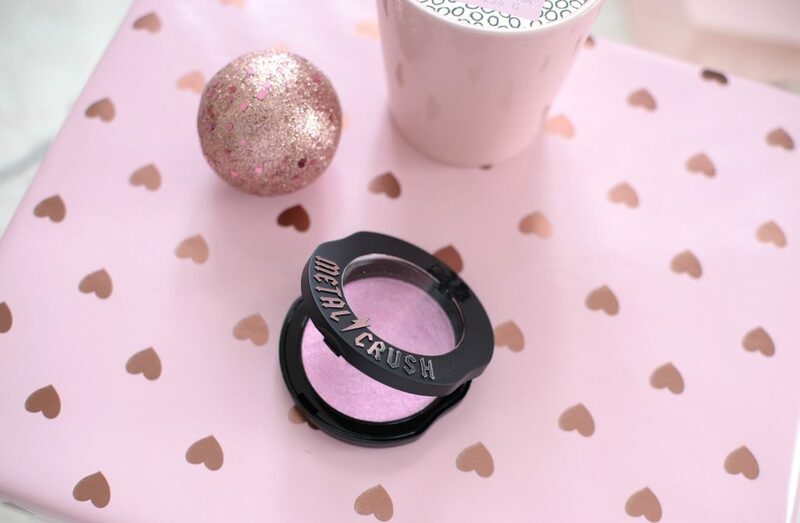 Keeping with the slightly pink theme, Kat Von D Metal Crush in shade Roseshock is an almost blinding pinky, lavender highlight that features a high-intensity glitter finish. 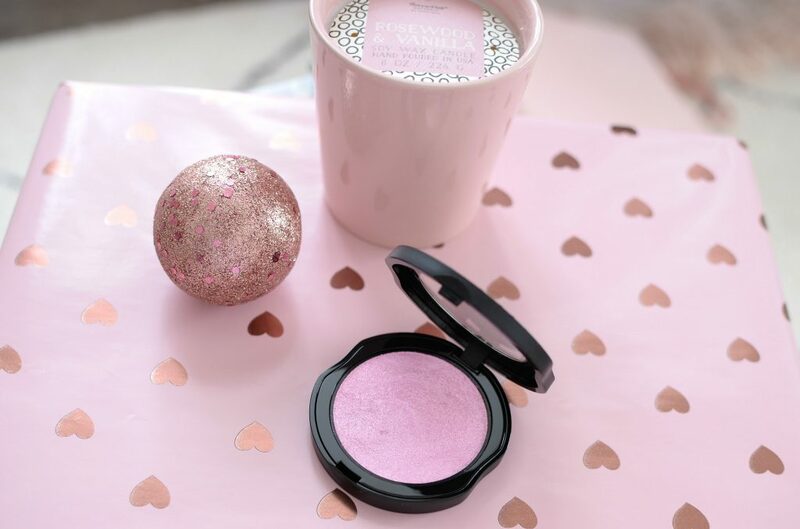 It features hyper-reflective micro-crystals that help to create a ton of glitter and glow on the skin. Not only can it be used on its own, it can be layered and blended with other products to achieve a totally customizable look. Although not extremely pigmented, it’s quite buildable, taking you from a semi-sheer wash of colour to semi-opaque coverage. It instantly provides an incredibly shiny, almost metallic finish that’s bold and powerful. 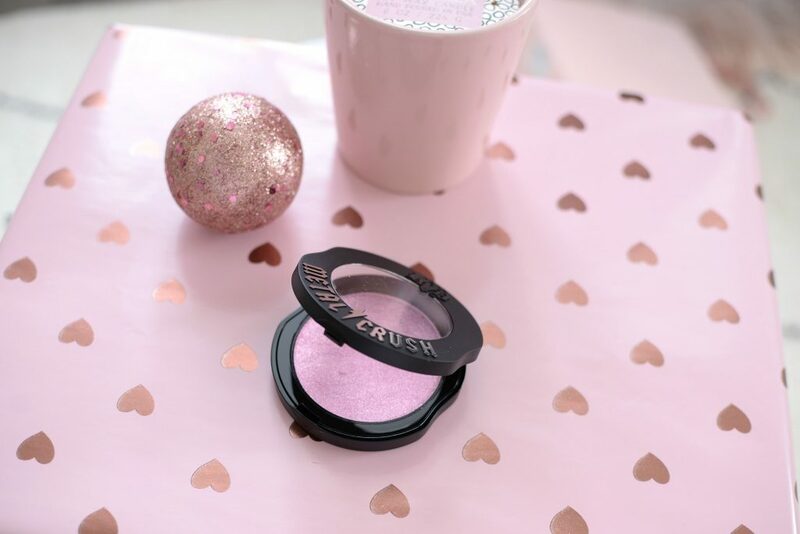 Depending on the way the light hits your face, it switches between a radiant pink and glowy violet with silver and violet sparkle throughout. Of course it does have some fallout, thanks to the sparkles, but it performs well and lasts upwards of 8+ hours on the cheeks. It retails for $36. 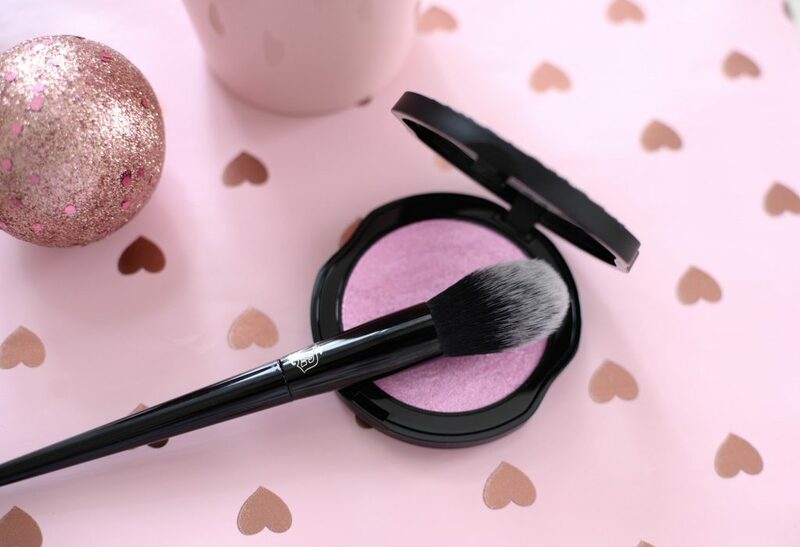 Kat recommends using her #4 Powder Highlight Brush for best results, and boy was she correct. By applying a few spritzes of my favourite setting spray, it really helps to amplify and bump up the intensity. Of course, Kat is an animal advocate, so the brush is made from high-end synthetic bristles. This not only helps lay down the perfect amount of product, but it helps to blend out the highlight for a flawless and seamless application process. 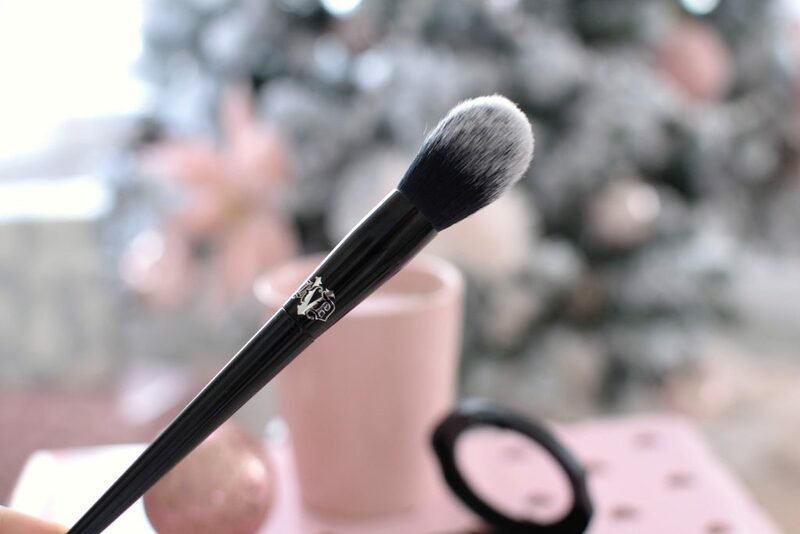 The slight tapered shape helps to effortlessly sweep on the product to the high points of the face, while the incredibly soft bristles help to maximize the colour payoff. It retails for $43. 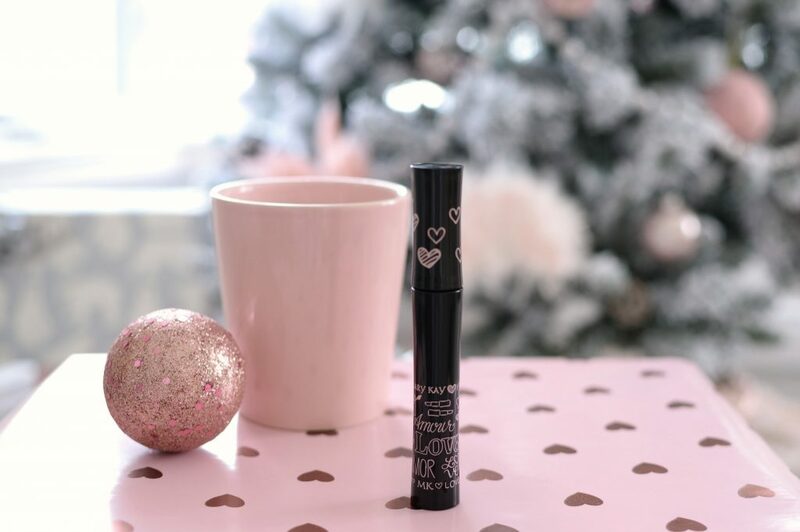 For mascara, my lashes have been all about the new Mary Kay Lash Love Mascara. 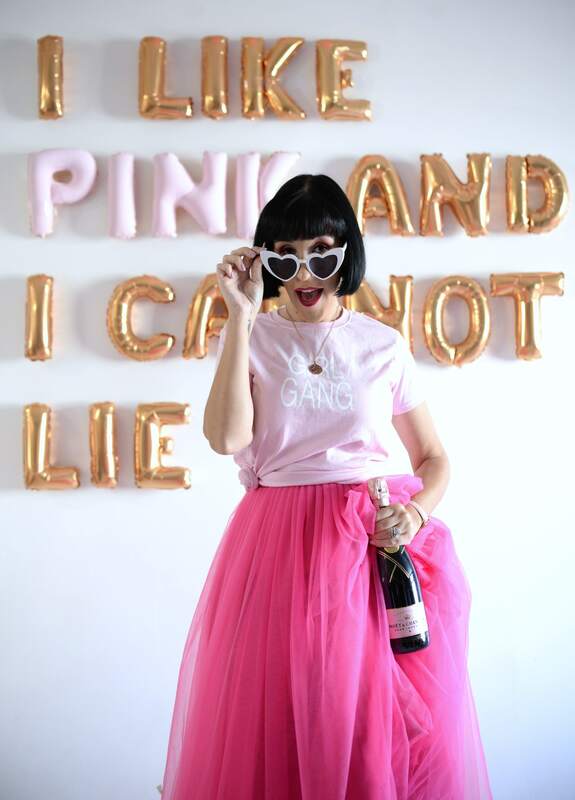 Not only will the brand donate $1 from each sale to the Mary Kay Ash Charitable Foundation, which helps support women living with cancer and those affected by domestic violence, but the formula is actually pretty magical. I don’t think there’s anyone on this Earth that hasn’t been touched by cancer or lost a loved one to this awful disease. So if you’re in the market for a new fabulous mascara this season, why not try this one and give back. 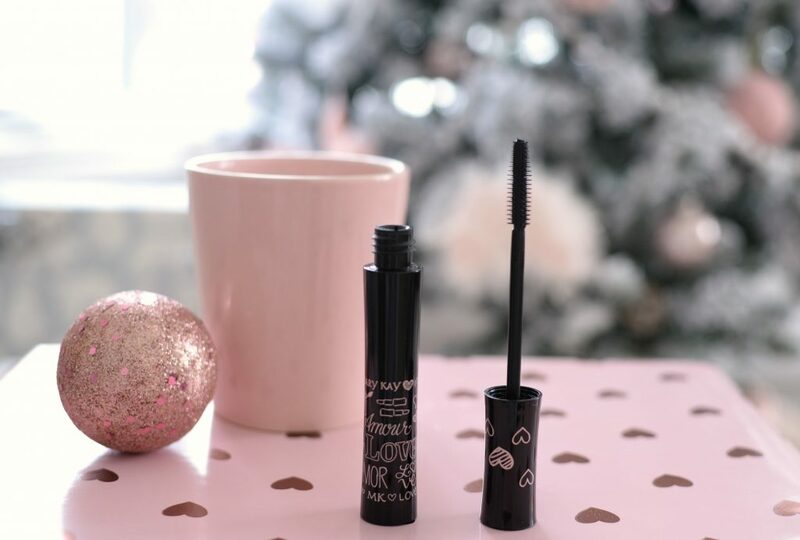 The thin wand helps to reach even the hardest, and smallest of lashes, the jet-black formula helps to lift, curl and define the lashes and the innovated formula never clumps or flakes. This baby can do it all. It retails for $21. I remember the day when I used to skip a primer…shocking I know. Just like you wouldn’t paint your house without a primer, you probably shouldn’t apply your foundation without one either. A few years ago, we would look for one that could soften, smooth and allow your makeup to adhere better, but these days we’re also looking for ones that are infused with skin-loving benefits. 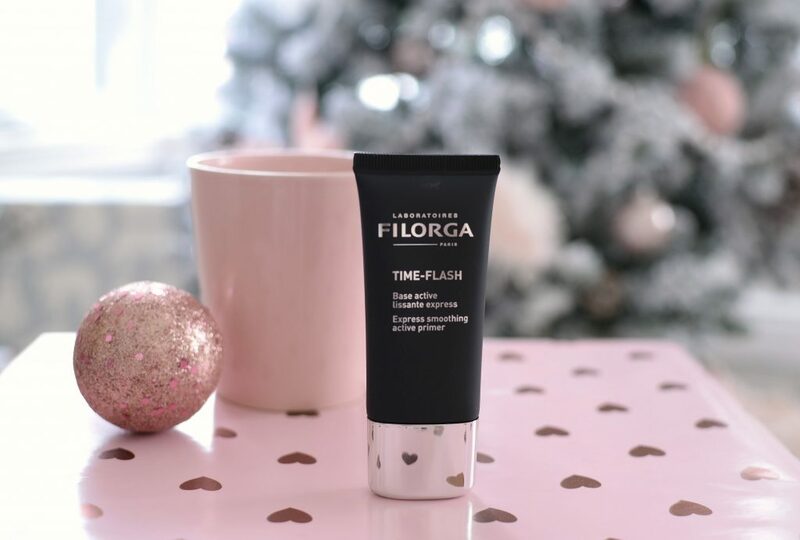 Take Filorga Time-Flash Express Smoothing Active Primer for example, it not only helps blur imperfections and allows your makeup to stay in place all day, it contains anti-aging properties too. Hyaluronic acid, one of my favourite hydrating ingredients, which help to deeply moisturize, ensuring your skin stays nourished all day. Minerals, antioxidants and amino acids help to boost collagen and reduce future sagging. This innovated primer not only helps to instantly lift, tighten and restore tension, it’s known for its slight boosting effect. It immediately smooths over fine lines and pores for a silky, velvety-soft and youthful appearance. It retails for $65 for 30ml. 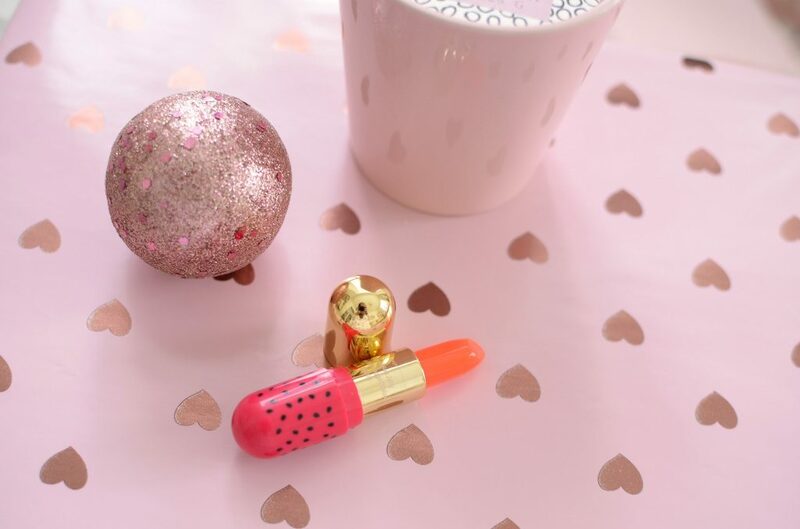 On days when I’m feeling lazy and don’t want to fuss with a long-wearing, highly pigmented lipstick, I reach for Winky Lux Transforming pH Balm in Watermelon Jelly. 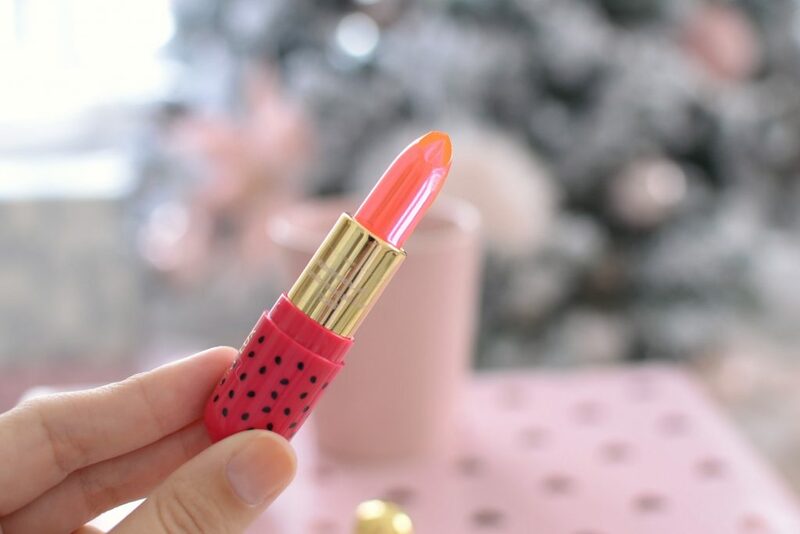 Not only is the packaging stunning, and the only lipstick I’ve seen with a tiny chrysanthemum encased in a clear balm, but it features a unique colour-changing formula. That’s right, its innovated formula naturally adjusts to your individual pH balance, providing you with the perfect colour match. Although it looks transparent in the packaging, and it initially goes on clear, it quickly transforms into your perfect shade of pink. This isn’t the first lip product that sync to your own body’s chemistry, but it is the first one that stains your lips. As the hours pass, and the colour slowly starts to fade, you’re left with an extremely natural soft, subtle pink hue. It retails for $18. It’s no secret about my horrible experience with IPL a few years ago. The nurse had the settings too high for my skin tone, and I was left with dark posts, hyper pigmentation and an uneven complexion. Ever since then, I’ve been doing monthly chemical peels and treatment, just hoping to reverse some of this damage. 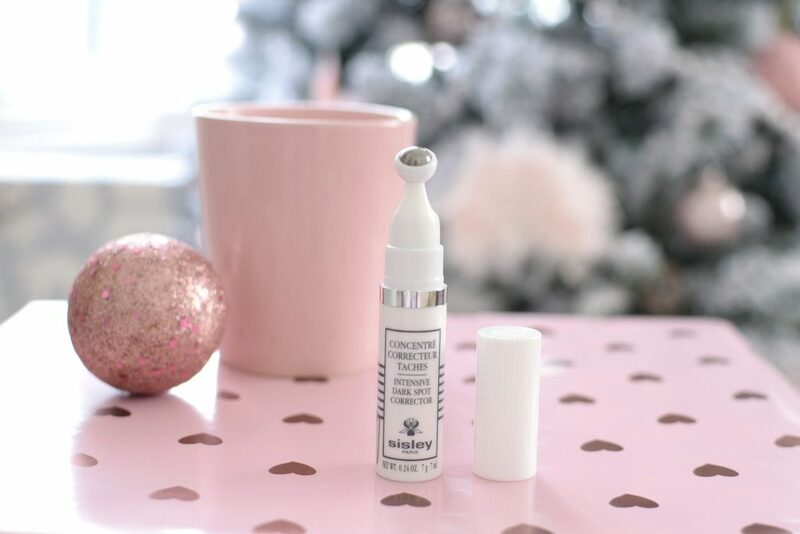 Whether you didn’t use the right sun protection, had a bad experience with light treatments or just looking to combat some age spots, Sisley Intensive Dark Spot Corrector can help. Sisley Intensive Dark Spot Corrector is a powerful skin brightening treatment that provides comprehensive lightening, exfoliating and soothing action in one. Vitamin C derivative, Rhubarb extract and Vitamin E help to reduce the size and intensity of dark spots, while Barbary Fig Blossom extracts and Salicylic acid help to stimulate the cells and exfoliate the skin. This not only helps to encourage new skin turnover, but it sloths off dead skin reveling new skin underneath. Finally, it contains an array of calming and soothing ingredients to help nourish and moisturize the skin. Its unique roll-on applicator is not only cooling, but it helps to gently massage the product into the skin. I’ve been using it twice a day and already seeing huge improvement in the brightness of my skin. My dark spots have been visibly reduced, without the drying effects that other products create. It retails for $229. 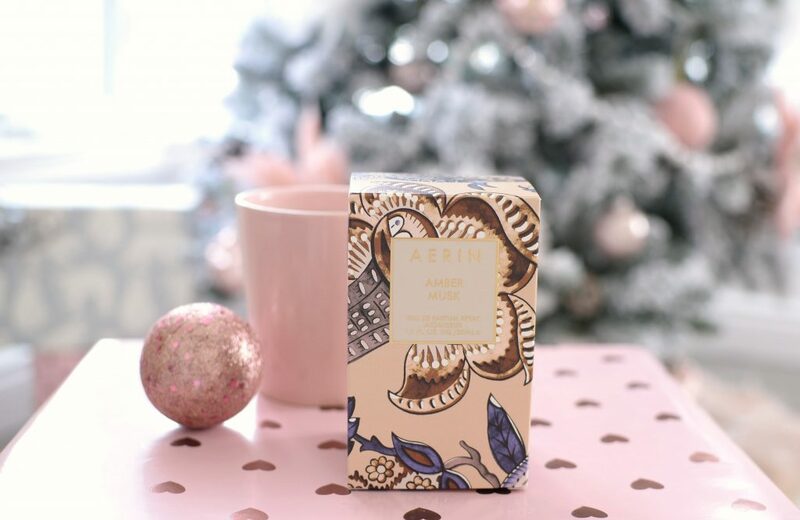 I went to an Estee Lauder event a few weeks ago, and we got the chance to pick out our favourite fragrance. It will come to no surprise that I picked out the most “masculine” scent there was. 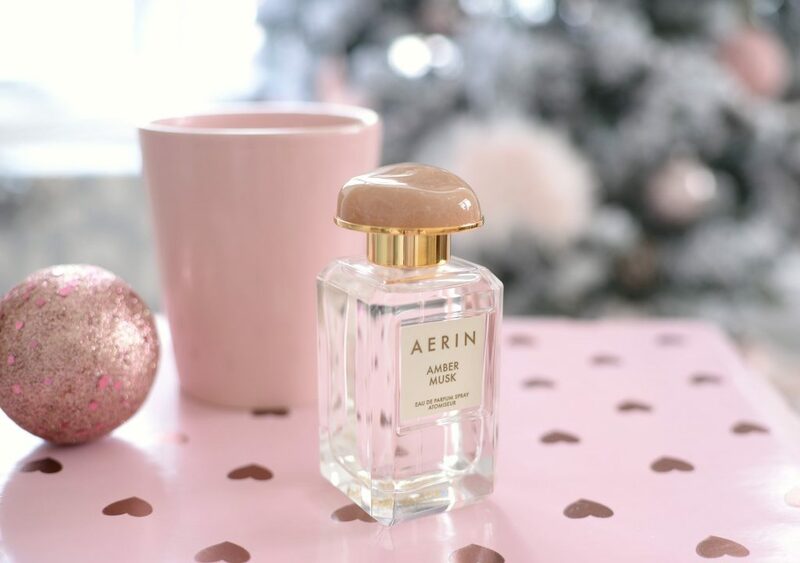 Aerin Amber Musk is the perfect winter perfume as its warm and musky aroma is like wrapping yourself up in a cozy blanket on a cold snowy night. It features notes of coconut water, rose centifolia, Ambrox, benzoin and musk. 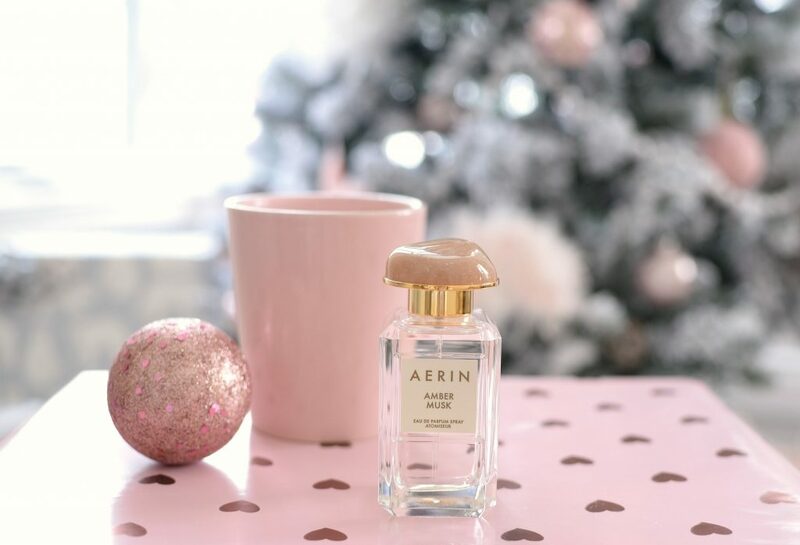 It’s an incredibly rich, deep and inviting perfume. Although it is quite manly and spicy, its touches of florals help to keep subtle and feminine. This comforting scent can be worn on its own or layered with other musky perfumes for a unique twist. It lasts upwards of 6+ hours before slowing fading. It retails for $142. I don’t know about you, but as soon as the temperature drops, I want to spend every waking moment in the bath. I’ve never been a shower girl, in fact, my mom used to think I was a fish. When I was little, I could spend hours in the tub, no matter how cold the water got. Nothing could get me out, and my mom would have to consistency re-add hot water, just so it would stay lukewarm. Although I’m not playing with rubber duckies or chasing bubbles, I still enjoy a calming and relaxing soak. Lately, I’ve been popping in a few Fresh Sugar Lemon Sugarbath and watching as it fills the bathroom with a fresh and lively citrusy, almost sweet lemon scent. It features Bicarbonate of soda and real brown sugar that both help to remove dead skin and speed up the healing process. It immediately melts away stress and leaves me feeling at peace. It retails for $51. 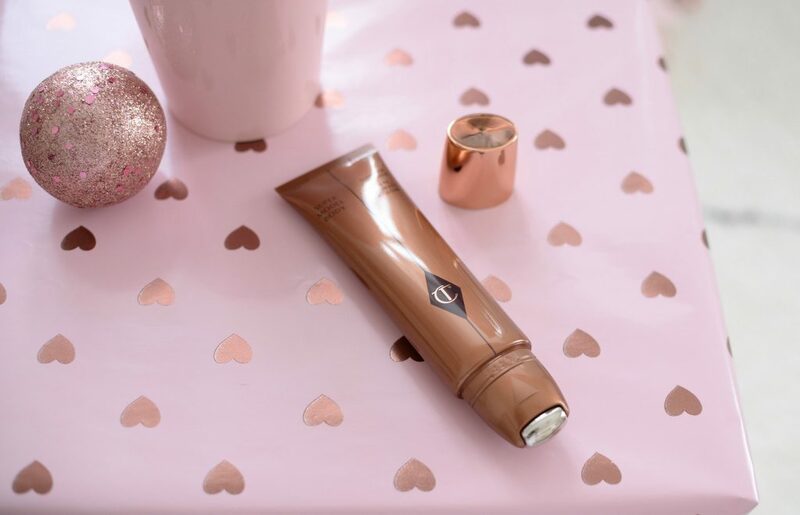 I can’t remember the last time my body saw sunshine, which is why I’ve been faking a healthy and radiant glow with Charlotte Tilbury Supermodel Body Slimmer Shimmer Shape, Hydrate & Glow. 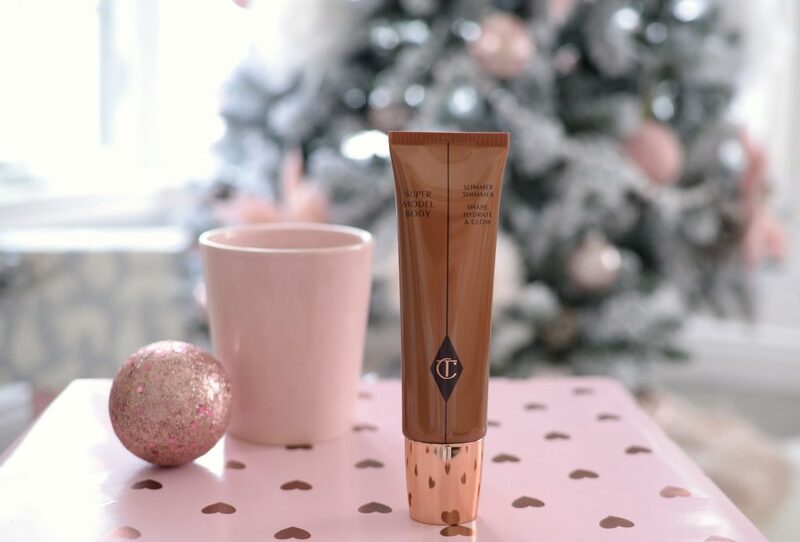 Unlike traditional self-tanners, bronzers or glowing products, this one is more natural in the sense it doesn’t provide a ton of colour and shimmer. 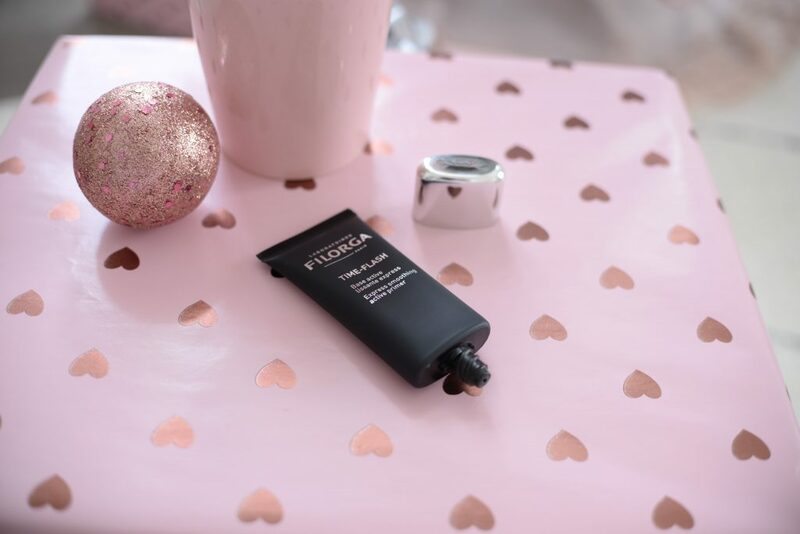 Its lightweight and slightly thinner consistency makes it incredibly easy to apply and blend into the skin, again, for that flawless, yet natural finish. Speaking of application, it couldn’t be easier to use. It features an innovated cooling, metal roll-on applicator that glides across the skin with ease for a refreshed and seamless finish. Simply glide on and then blend into the skin with your fingertips. Swipe down the centre of your arms, legs, even décolletage to create the illusion of longer, leaner limbs. You can also contour with it, thinning out areas you’re self conscious about. It’s enriched with botanicals and de-puffing agents to help soften and smooth the skin, while providing a youthful and shimmer glow. It retails for $78. 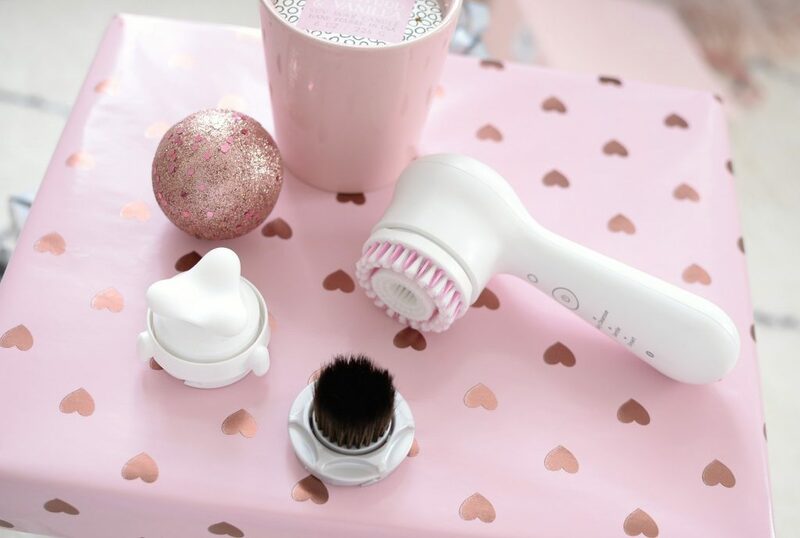 I don’t think I have to tell you how obsessed I am with my Clarisonic. I think I have over 6 or 7 blog posts dedicated to my thoughts, opinion and reviews on several of their devices. 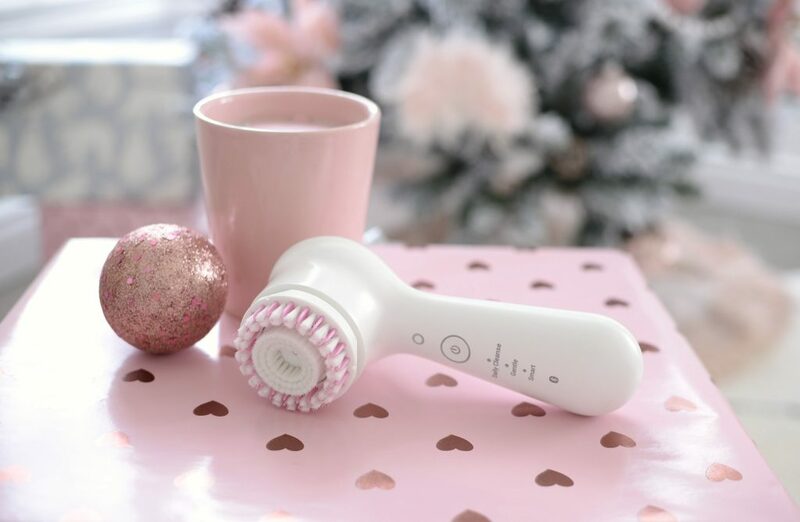 But the new Mia Smart 3-in-1 Connected Sonic Beauty Device blows all the other ones out of the water. 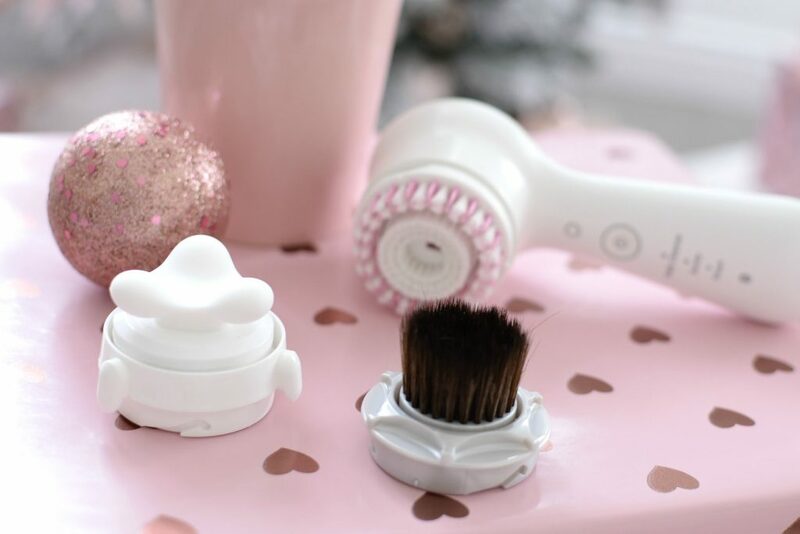 Sure, it’s still the Mia and comes with all the different brush heads that you’ve come to love and trust from the brand but you can download the app and customizes your routine. The device then tracks your improvements and provides you with update. Welcome to the future! You can even get expert recommendations to help personal your routine, set your skincare goals and personalize it to your wants and needs. Trust me, your skin will thank you. It retails for $229.